Wellness Wins is a program by WW (formerly Weight Watchers) to help you instill new good habits. I have been writing about Weight Watchers now WW (Wellness that Works) for a long time and this new Wellness Wins program is a big addition to their Freestyle offering. Check out my posts - Weight Watchers Changes 2019 and New Weight Watchers Freestyle Review if you want to follow WW’s latest new program changes. WellnessWins is pretty simple. In the WW app, you track your breakfast, lunch, dinner, fitness, and weight (once a week) or you go to a Wellness Workshop. You get Wellness Wins for tracking and showing up. On any given day, you can earn up to 20 points for tracking your breakfast, lunch, dinner, and fitness. Every week, you can earn an extra 25 points for tracking your weight in the app OR going to a Wellness Workshop. So for one week (if you managed all that tracking) you could earn 165 Wins. What can you do with the wins? Good question! If you look at the bottom of your WW app (and only on the app and not the website), you will see a category called “Journey”. At the top of the page, you can see the number of Wellness Wins you have collected. What do you do with them? Alas, the accumulation of Wellness Wins doesn’t give you an all expenses paid trip to the Caribbean. But, for 1,500 wins you can get a WW cookbook. It would take you 9 weeks to earn this cookbook - if you managed to do all of your tracking. Why 9 weeks? I am thinking that they are giving you enough time for the tracking of food, fitness, and weight to become a good habit. 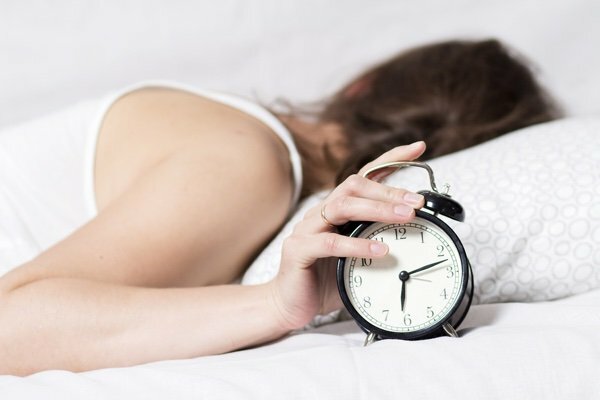 There is an abundance of scientific research into how long it takes to create a habit. For something simple - such as drinking a glass of water after breakfast - it takes 21 days. This type of tracking takes (I would guess) much longer to become a habit. 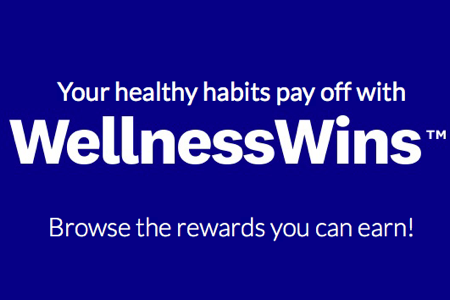 Check out a list of the WellnessWins Rewards to see if anything appeals to you. 1. 90 Day Starter Membership to Aaptiv (1,500 wins) Aaptiv is a fitness app that I use when I can’t get to the gym for a class. It has great trainers that lead you through workouts with different types of music (pop, country, rock…). I happen to love it and use it for stretching and running on a treadmill. 2. Entry to the Rock ’n’ Roll Marathon Series (3,000 wins) - which includes 5K and 10K races. These races have a live band at every mile and look SO FUN. It would be wonderful if WW allowed you to choose an event near you that they would pay for entry. There are so many charities that run wonderful races. 3. A FREE one month membership to Rent the Runway (4,000 wins) You get to borrow the best clothes from an unlimited stock of stuff. I have rented from this service and it is so much better than buying clothes. Some things I would like for my hard earned Wellness Wins. Can WW give me more sleep? They actually have a sleep set (sleep mask, socks, headband) as an offering because clearly this is something that people need. I’m going to need more than socks to get a good night's sleep but I appreciate the effort. How about homework help for my kids? WW could contract with a tutoring group and offer credit for math lessons. This way, when one of my kids asks me once again, “Mom, how do I factor this?” - I could tell them to SAVE IT FOR THE TUTOR and go back to whatever important thing I was doing before I was challenged to remember math. 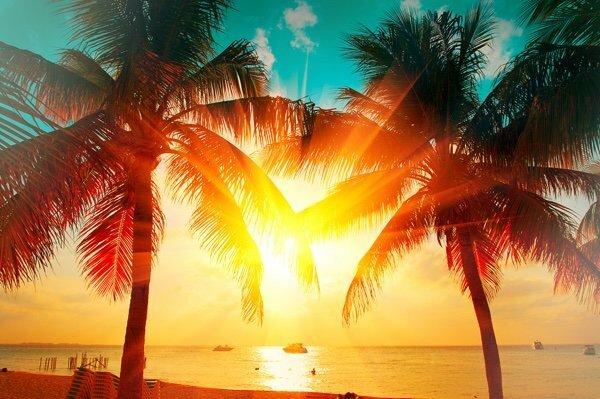 One more thing - an all expenses paid vacation to the Caribbean. You might have to make it like 10 MILLION WellnessWins but you can swing that for your members, right WW? What do you think of Wellness Wins? Will it help you do a better job of sticking to the program? I am very suspicious of this new program. I feel like I can come up with my own rewards to keep me on track with weight loss. I want structure and results. WW seems to be removing a lot of the structures and skimping on the results lately. The only reward on this list that looks enticing is Rent the Runway, but I’m sure it’s the base plan where you get like two items a month. :/ Look for expanded rewards options like free yogurt and chicken?! Hahah. I used to love WW. Now I feel it has lost its way and it’s new mission is alienating. I think this is a bad move for WW. It feels like a money grab wrapped up in a “wellness” package. I have been on ww for years. I not sure about this new change. Who I really feel bad for is the who will and cannot do the technology. They cannot earn any of the rewards. So they pay just like the rest of us but get nothing but a resentment towards their weight lose, so how will that work for weight lose? I will not give up because I know what happens to me. Is there any update on lifetime members? A sleep mask and socks! A contrived new program with lots of bells and whistles! WW, you lost me at Freestyle. I didn't know Weight Watchers was broken....to me, if it ain't broke, don't fix it!!! I attend WW meetings to get inspiration to lose weight & cope with situations without turning to food. Period. This does not motivate me. I did the math yesterday: for 22,995 days I’ve dealt with or thought about the burden of my weight. I don’t think any accumulation of winning ‘things’ will help with that mindset. If it wasn’t for the dear friends I’ve made in the meetings I would have moved on from WW a long time ago. I don't like Freestyle and I don't like this new "reward" system. The more affordable rewards are a bunch of junk that no one really wants. Yes, I'd love a south seas vacation, but can only imagine how many points one has to earn to get that vacation. There are members in my group who don't have a smart phone and they are being penalized. WW has really gone downhill and frankly I don't know how much longer I want to endure these horrible changes. Change is always difficult but I don't see this as much different than when they rolled out Freestyle. It's just verbiage changes. I'm hoping the reward system encourages me to track more diligently and lose weight! If the rewards aren't a motivation, pass them up! I agree. There are members in my group that still have flip phones so they will not be able to earn rewards. I’m a paper tracker so I feel like I’m being forced to phone track if I want extra rewards. I’m earning for activities since my Fitbit is linked. The only reward I thought was worth getting was the Kohl’s gift card. Although I do like the freestyle program. I’ve tried for 5 months the Freestyle program and the “Free” was the wrong word to use for a food aholic. I have tried to stay on program but I keep overdoing with the free foods. One more month to try and then my six month sign up is over and I wil end my relationship with WW. I don't mind the rewards but I think there should be some small ones as you get started. Like how about a binder for our weekly's and the paper they are giving out. I like the weekly's and save them now that's a change I will miss. Has anyone heard about simply filling/no count I heard its going away? I am sure I will keep doing it but sorry to see that leave. Always upset me that they didn't have many awards for people that lost a lot of weight. After about 75/100 the charms stopped coming. Don't they think there are some of us that will lose that much or more? I'm a senior who went to WW faithfully 5 years ago. I found it helpful when we had a good leader. The booklets we received every week were very helpful and some of the games we played for 6 weeks to help us loose weight were great. But then it became very expensive when you are on a fixed income. They should make it more senior friendly in their cost. I was paying for 3 months at a time but that also became to much. When you join ww on line they don't seem to be able to answer questions. Such as with this new freestyle do you points from exercise still count in your daily points ? Seems like we need to talk to OPRah since it has gone down hill after her taking part in WW> Let me know when they have a nice fee for the seniors. I think some of the responses here are explaining why WW made the changes. "...members in my group that still have flip phones..."! WW can't continue on without bringing in the Millennials, and what they were doing won't bring them in! Millennials are causing changes in a lot of industries, whether us older folks like it or not! Anxious to hear about where Lifetime members fir in this equation and Wellness Wins. They are living advertising for WW and you would think they would at least get a little respect. They have taken the Lifetime meetings away which were very meaningful even though didn't have massive attendance. I agree with L Haube. I too am a senior and on a fixed income. I don't like Freestyle and don't follow it, enjoy the meetings (have a wonderful leader) and need to be weighed in every week to keep myself in check. However, the changes are nothing but attempts to save money for WW while doing nothing really for members. Some members do not have smart phones and they are left out of the new rewards program; certainly they're not expected to buy a smart phone just for WW rewards! Additionally, it might sound trite, but I enjoyed receiving the small charms and now that's gone too although when brought up at meetings we're told we'll still get the 5 lb, 10 lb, etc charms, but that's not what we are referring to. If millennials are WW targets they are in for a big surprise since millennials don't have time to go to meetings; they're either in college or working and probably going to a gym where they can get dietary help. I'm quickly becoming discouraged by WW and don't think I'll be continuing my membership. I know its not me, but most of your posts only serve to create a 'witch' fest. Do you all want some "whine" with your low fat cheese? I've never seen a group so closed off to some change. Threatened by everything, jumping to conclusions without even giving it a go. My center has workshops at least 1x a month if not more on how to use the App. How about friending someone at your Center and asking them for help? How about you say - I'll buy you a cup of coffee, and you show me how to use the app. No, you prefer to stay enclosed in your little world. Its unbelievable. By the way, I didn't click email me when there are new comments, so I don't care if you don't like what I wrote. I am at a loss as to where WW is heading. Freestyle was a total loss for me and a few friends and family. We all just track with Myplate now. Adding a few goodies/awards are supposed to get me excited and ready to come back? Don't think so. WW, you had a good program but seem to be working so hard to innovate that you are losing touch with the people who used to swear by your program. TOTALLY AGREE WITH Ms. G.
Once again, Weight Watchers was created to make money. It is *Big* Business and I think it is one of the biggest scams ever. Now WW is even more so. Common sense, more veg and protein, less carbs. Once one gets caught up in counting points, one uses it as a crutch. Trading one addiction for another?